BRANDON — Former Brandon Town Manager Robin Bennett has resigned, reaching a $12,578 settlement in principle with the town that officially closes the book on her 18-month tenure. The deal was announced following a brief executive session of the Brandon Select Board on Monday morning, March 23, at the Brandon Town Hall. The move comes two weeks after the Board placed Bennett on administrative leave following a performance evaluation over several weeks. The two parties agreed to the $12,578 settlement, and Bailey said Bennett’s resignation is retroactive to March 9, the day she was placed on leave. On the advice of the board’s attorney Dina Atwood, who was present at the executive session Monday, Bailey said the board could not comment any further on the matter. Neither Bennett nor her attorney, Thomas Somers, were present at the meeting. While attorney Jim Carroll serves as the town counsel, Atwood specializes in labor negotiation and personnel matters. The agreement is in principle until it is signed by Bennett, something Bailey said was to happen later in the day Monday. Reached via text, Bennett would not comment on the settlement or confirm whether she had signed it. Bailey said that because Bennett resigned, the town did not have to have just cause in paying the settlement, which is far less than what Bennett would have received had she been fired without just cause. 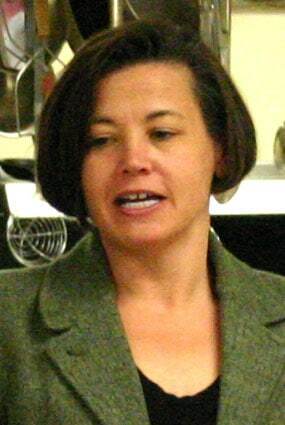 Bennett was hired by the Town of Brandon in August 2013. According to her three-year contract, signed Aug. 28, 2013, if the Select Board chose to terminate her employment before the contract expiration of Aug. 31, 2016 “for any reason other than one which constitutes just cause,” the town agreed to give Bennett six months’ notice and pay her 13 weeks’ salary, plus health insurance for 13 weeks, and compensation for any unused vacation time. She would also be entitled to four weeks of paid vacation annually. However, having “just cause” means “a reasonable and lawful ground for action,” but because Bennett resigned, the severance package in her contract does not apply. The town has already advertised the town manager position and hopes to hire a replacement by May. In the meantime, Bailey, who is retired, and vice-chair Seth Hopkins, who owns his own business, have been running the affairs of the town full-time from the town offices. Bailey said they would continue doing so until a new town manager is hired. Hopkins noted that they are being careful not to have a quorum of Select Board members at the town office during this time, which would constitute an unwarned Select Board meeting and violate the Open Meeting Law. As for the business of the town, Bailey and Hopkins have been busy. “We don’t believe there is anything the town manager was doing or expected to do that the select board or another public official can’t handle,” Bailey said. Lee J. Kahrs is the editor at The Reporter in Brandon, a sister paper of The Mountain Times.